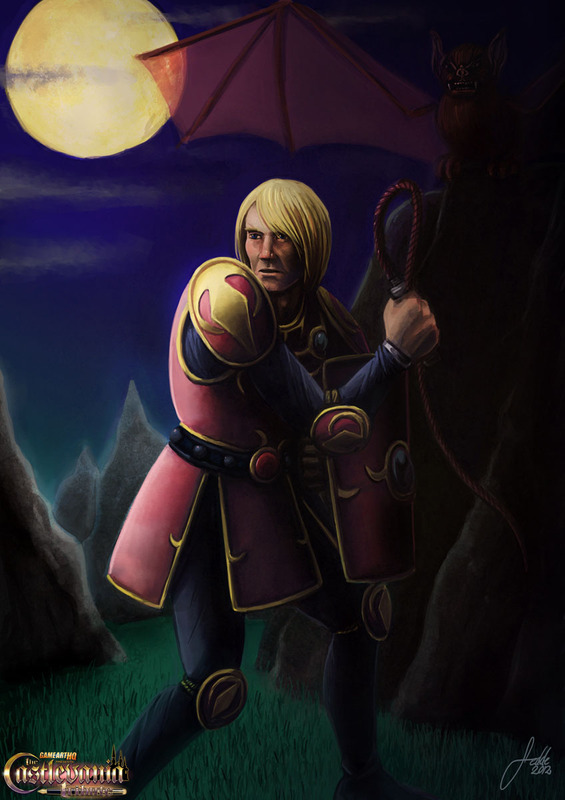 This is Simon Belmont, the main protagonist of the first two Castlevania Games, drawn by the Swedish artist Fredik Mattsson for our Castlevania Art Tribute. In Castlevania II, Simon has to find the parts of Dracula’s body after he beat him 7 years ago. Dracula cursed him and he has to face a horrible death if he is not fast enough finding them. No wonder he looks so serious here in this portrait.